This was the first study I painted yesterday while out woodcutting. There was a large wildfire in this area a few years ago, and combined with the white pine beetle infestation, there are quite a few bare areas on the mountains. It was fun to compose around the quickly moving cloud shadows. As I was walking along trying to find a view of the mountains to paint, I probably spent more time picking and eating huckleberries. It is still early in the season for them, but I probably found enough for some pancakes. I love listening to (and seeing) the goldfinches in the trees. 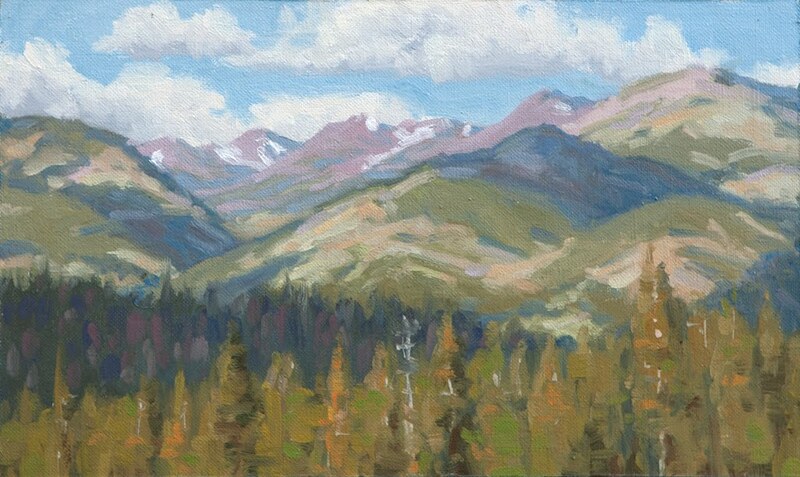 Study 10x6", Oil on Linen.